The government has assured peers that the system to replace the Deprivation of Liberty Safeguards (DoLS) will not reduce access to advocacy for people deprived of their liberty. Junior health minister Lord O’Shaughnessy told a House of Lords debate on Monday (22 October) that the Liberty Protection Safeguards (LPS) was not written “to restrict people’s access to independent advocacy”. “It must be the case that anybody who needs support to navigate these difficult and complex situations must be able to find the right support for them,” O’Shaughnessy said in the debate on the Mental Capacity (Amendment) Bill. O’Shaughnessy was speaking on the final day of the bill’s committee stage in the House of Lords, during which the legislation, which would introduce the LPS to replace DoLS, was scrutinised in detail. No amendments were passed during the stage, and the bill will now proceed to the report stage, the penultimate phase of its passage through the Lords. when the person under the authorisation or their RPR (if unpaid) requests the appointment of an IMCA or the supervisory body believes it is necessary to appoint one to help the person or the RPR exercise their rights to challenge their authorisation or have it reviewed (section 39D). In each case, the supervisory body appoints the IMCA, though in the case of a 39A or 39C IMCA, this duty is triggered on the assessment of the care home or hospital in which the person is or may be detained. Under LPS, the role of the RPR is replaced by that of ‘appropriate person’, who would tend to be a family member or friend who is able to support and represent the person. the person lacks capacity to consent to being represented by an IMCA and the responsible body believes it is in the person’s best interests for an IMCA to be appointed, unless they have an appropriate person to represent them. They would also have a duty to appoint an IMCA for any appropriate person if they request one, with capacity, or, if the appropriate person lacks capacity to consent, the responsible body determines that appointing an IMCA is in the appropriate person’s best interests. In care home cases, the care home manager is under a duty to notify the responsible body whether the conditions for appointing an advocate or appropriate person are met, at which point the responsible body’s relevant duty is triggered. 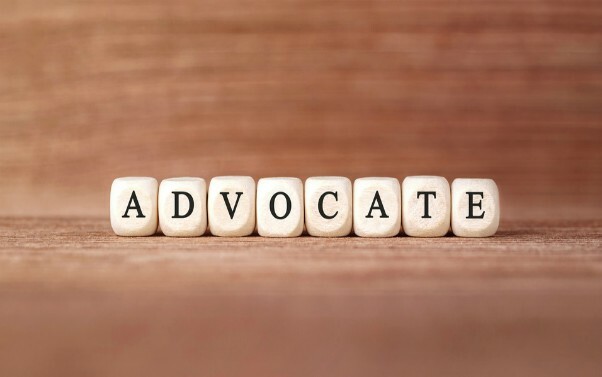 The key concerns raised in the debate centred around the role of care home managers, who would be the ‘gatekeepers’ for access to advocacy in care home cases, and the risk that they would not notify the responsible body of the need to appoint an advocate to avoid scrutiny of the home. Liberal Democrat peer Baroness Barker warned: “As the bill stands, referral to advocacy is controlled by a relevant person, either the responsible body or the care home manager, and an advocate must be appointed if a person has capacity and requests an advocate. She also raised concerns about managers potentially abusing the provision around an IMCA being appointed for a person who lacks capacity to consent when it was in their best interests, suggesting they would not notify the responsible body in cases where an IMCA was required. In addition, Baroness Finlay, a crossbencher who is chair of the National Mental Capacity Forum, added it was important for anyone concerned about the cared-for person to be able to raise doubts about their care “independently” and “anonymously” and to request that an IMCA be appointed to look over the situation. Responding to concerns, O’Shaughnessy said he recognised the worries about the impartiality of the care home manager in deciding whether an advocate should be appointed. He said the local authority – as the responsible body in care home cases – should be able to appoint an IMCA if requested by a family member or the person themselves, suggesting that the bill may be amended to enable this. “I am considering how we can make the bill clearer in that regard,” he said. “As we home in on the issue of the incentives for the care home manager to follow best practice, as we would want, I am aware that we need to do more work on this to get it right. O’Shaughnessy also defended the use of a “best interests” condition for the appointment of an IMCA where the person lacked capacity to consent. “Let me state again the intention that, in the vast majority of circumstances, we expect it would be in a cared-for person’s interests to receive representation and support from an IMCA or appropriate person. “However, there may be a small number of circumstances where that is not the case. For example, if a person is adamant that they do not want this sort of representation, and has refused advocacy support in the past, it would not be right to impose such an advocate on them. “Assured” may be overstating it. The Minister indicated an aspiration not to see levels of advocacy reduced. Whether that aspiration will be reflected on reality – we may need to await what comes back to Parliament at Report Stage and see what appears in any revised impact assessment on funding for advocacy. The new LPS scheme appears greatly to reduce the protections against arbitrary deprivation or access to speedy review and seems to rely heavily on passive lack of objection as the basis for detention in most cases.